Victorian themes are an all time favourite for traditional weddings. 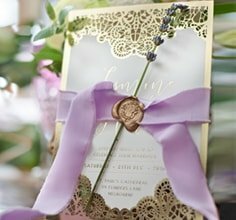 The best way to introduce this theme is by featuring it on your wedding announcement in the most elegant and luxurious way. 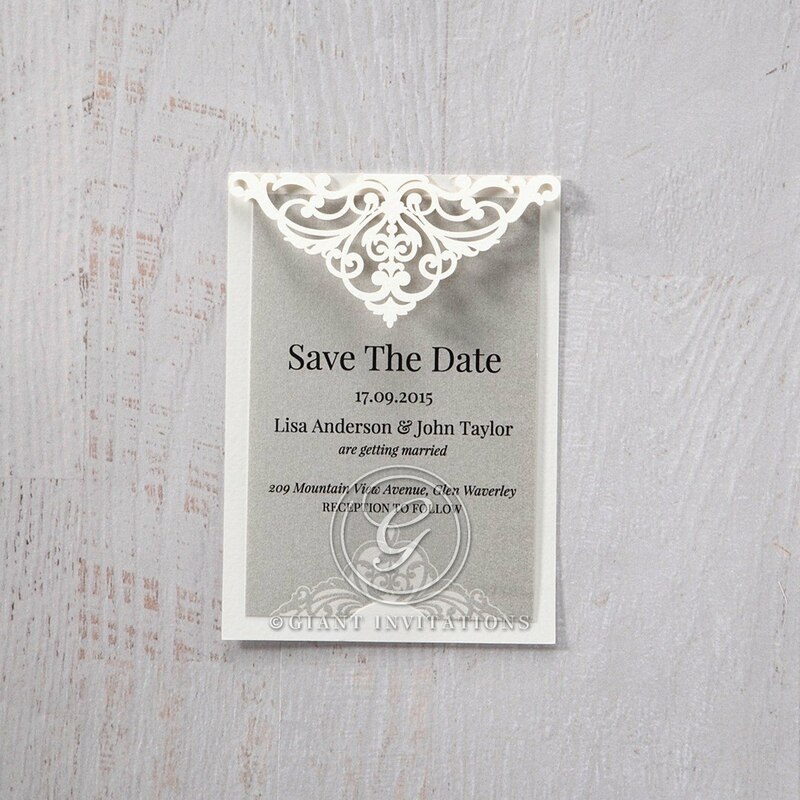 This Elegance Encapsulated save the date stationery conveys this style through its laser cut frame and the pattern printed on the insert. While an all white palette is most desirable to achieve a vintage appeal, incorporating another colour to the insert and adding a personalised crest or monogram adds character for a more captivating effect.